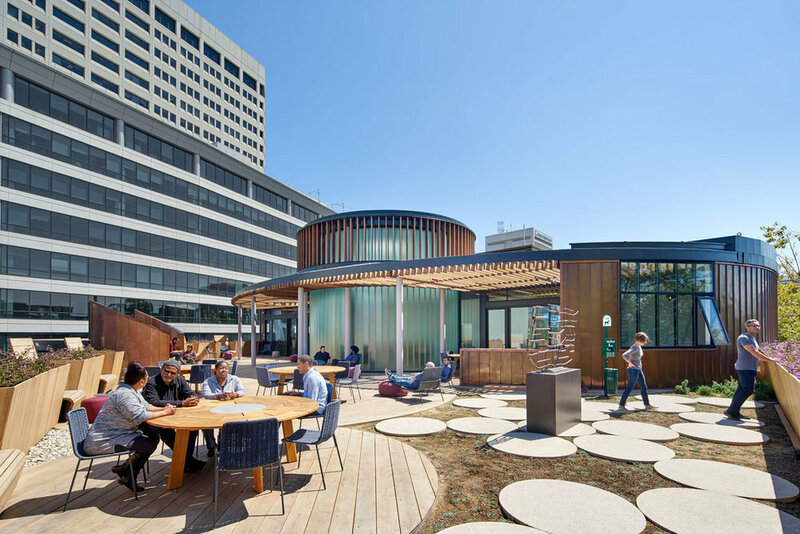 Hood Design Studio is responsible for the rooftop and streetscape design of the Fougeron Architecture-led renovation of the Kapor Center for Social Impact headquarters. The plan of the rooftop garden is derived from three linked circles of the Kapor Center logo – representing “community”, “unifying”, and “diversity”, and relates to the curvature of the existing building. Reclaimed redwood defines the circles within the rooftop garden, and constructs built-in seating.